DJ/PRODUCER/PROMOTER Venue: www.lyraclub.com (owner) Label: www.orpheusrecordings.com NUCLIUS began his career as a Dj in 1994, he is considered one of the forefathers of “Electrónica” in Peru and alongside a handful of individuals is credited with creating the scene in the city of Lima. At the same time Fernando is also credited as co-creator of Lima’s now legendary “BLUE BUDDAH”…the city’s first one 100% house music venue. Nuclius is known for his charismatic live performances and his versatile trademark taste in music. Without a doubt his musical influence over the years has taken part in shaping Lima’s signature sound. 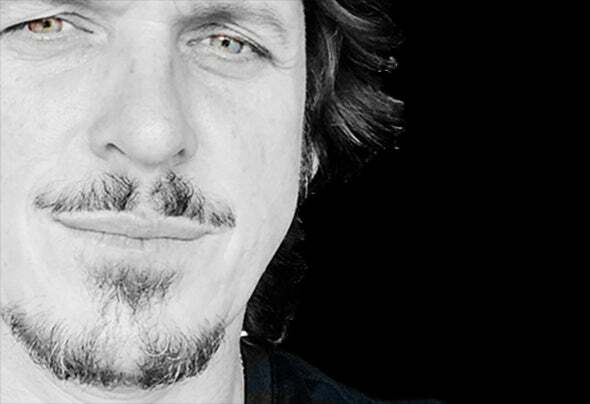 Fernando has held numerous residencies in Lima’s most important venues and has shared the decks with countless of the globes most renowned artist such as: Danny Howells, Guy Gerber, Lee Burridge, Martin Eyerer, Mihai Popoviciu, Markus Homm , Gorge, Desyn Massiello, Joeski, Mauro Picotto, Sister Bliss, Stefano Noferini, James Zabiela, Mr.C, Jimmy Van M, 16bit Lolitas, Slacker, Lexicon Avenue and many others. “I am very fortunate to have shared the decks with such amazing artists, many of them whom I have become friends with over the years.”- Nuclius. From being featured in Mixer Magazine to being handpicked by acclaimed producer Slacker to be “featured artist” on his Jukebox in the Sky label website, Nuclius’s sets have recieved props from fellow djs and listeners all around the globe on message boards such as the UKs Global Underground. The past years have been rather different for Fernando, leaving behind his weekly residencies in Limas most important clubs, dedicating most of his time to his own venue “Bizarro” and his web based radio show on Proton Radio, Obsessions with Nuclius. In the past decade Lima has become one of South Americas most important and influential cities for House music. A true favorite spot in the global circuit for many of the globes most important Djs and home to one of South Americas best kept secrets, Nuclius.